Just in case you're a total dolt like me and have no idea who Alan Turing is, except that Benedict Cumberbatch, the now-engaged Benedict Cumberbatch, is playing him in the upcoming movie The Imitation Game, this Slacker Sunday entry is for you. I figured since Cumberbatch and co-star Keira Knightley are being talked about as Oscar candidates, why not post the trailer? Before you get there, I'm posting this link to my most popular Benedict Cumberbatch post ever —almost 10,000 hits — all on account of peeps searching for "Benedict Cumberbatch smokes weed" because they've heard he made a comment and what to know exactly what he said about it. 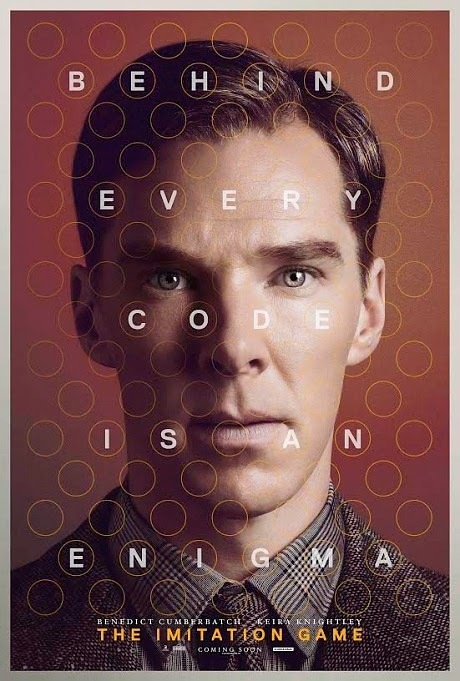 The Imitation Game is inspired by a book about Turing, clearly one that I've not read, clearly about a man who played an important role in history, a role I wish I'd been more cognizant of. Not a bad $5 word for a complete ignoramus, right? Here's a little background — actually quite a bit of background from the publisher of the book Alan Turing: The Enigma by Andrew Hodges. Read at your own risk if you're trying to stay in the dark before seeing the film, opening next week on November 28th. That's the day after Thanksgiving when a lot of us get started on our Christmas shopping. Not I, I prefer to skip the crowds. Might be worth skipping Black Friday and taking in an important flick instead. "It is only a slight exaggeration to say that the British mathematician Alan Turing (1912-1954) saved the Allies from the Nazis, invented the computer and artificial intelligence, and anticipated gay liberation by decades--all before his suicide at age forty-one. This acclaimed biography of the founder of computer science, with a new preface by the author that addresses Turing’s royal pardon in 2013, is the definitive account of an extraordinary mind and life. Capturing both the inner and outer drama of Turing’s life, Andrew Hodges tells how Turing’s revolutionary idea of 1936--the concept of a universal machine--laid the foundation for the modern computer and how Turing brought the idea to practical realization in 1945 with his electronic design. The book also tells how this work was directly related to Turing’s leading role in breaking the German Enigma ciphers during World War II, a scientific triumph that was critical to Allied victory in the Atlantic. At the same time, this is the tragic account of a man who, despite his wartime service, was eventually arrested, stripped of his security clearance, and forced to undergo a humiliating treatment program--all for trying to live honestly in a society that defined homosexuality as a crime. 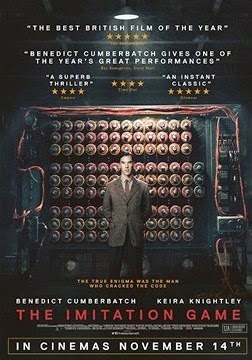 The inspiration for a major motion picture starring Benedict Cumberbatch and Keira Knightley, Alan Turing: The Enigma is a gripping story of mathematics, computers, cryptography, and homosexual persecution. 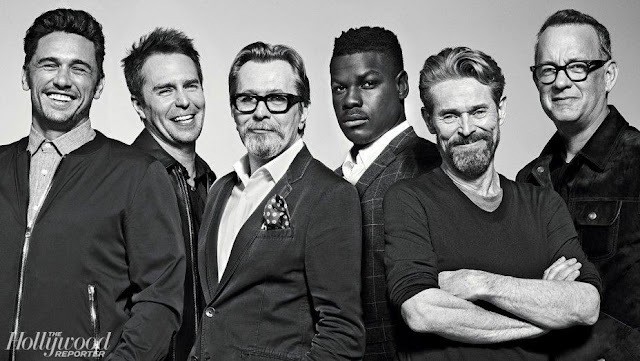 The film was directed by Norwegian helmer Morten Tyldum whose credits include the Norwegian language adaptation of Jo Nesbo's Headhunters. 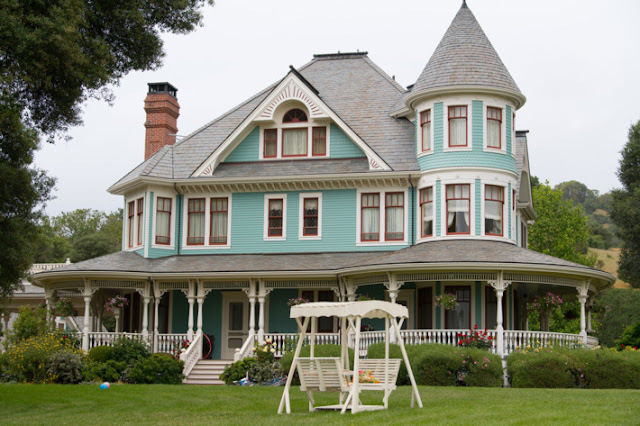 The screenplay was written by the film's executive producer Graham Moore who has barely any screenwriting credits to his name; an episode of the television show Ten Things I Hate about You and a couple of shorts! Man, those shorts must have been good. From all the praise The Imitation Game has been getting, sounds like he's got a dose of beginner's luck. A strong cast doesn't hurt, the cast of The Imitation Game includes the always solid Mark Strong (Dr. Nash in Before I Go to Sleep), Charles Dance (Tywin Lannister in Game of Thrones) Matthew Goode (Finn Polmar in The Good Wife) and Rory Kinnear (Bob Oswald in Broken) and Allen Leech (Chauffeur Tom Branson in Downton Abbey). The score is by the devastatingly talented Monsieur Alexandre Desplat. You can sample some of the score from the film at my last post; Desplat, director Morten Tyldem, Cumberbatch and Knightley were all lauded for their contributions at the HFA awards. So what's it going to be? Shopping or the cinema?